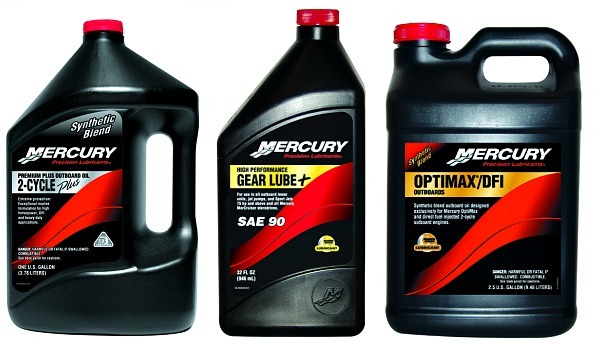 Mercury Marine has created its own range of specialised oils and lubricants, which are now available exclusively through authorised Mercury dealerships across Australia and New Zealand. Boating is not often thought of as a harsh environment. But marine engines are routinely used for extended periods at wide-open throttle (up to 6400rpm) in saltwater and full UV sunlight. They are then stored during the off season – in some cases without any use. To deal with all that, Mercury oils and lubricants are specifically formulated for the unique needs of marine engines and rigorously tested to meet our high standards. So, you can get the most out of your engine while having total peace of mind that your engine is being protected. “That’s exactly what you should expect from the only marine engine manufacturer 100% focused on the marine industry for over 70 continuous years,” said Paul McLean, Mercury Marine’s Aftermarket and Accessories Director. “No matter which outboard or sterndrive you have, the reality is it’s a high performance engine and therefore needs specialised lubricants,” Paul said. “There are lots of so-called marine oils on the market, but Mercury Precision Lubricants are blended specifically for the marine market. Our entire focus is the marine industry– so these are the lubricants you can trust.